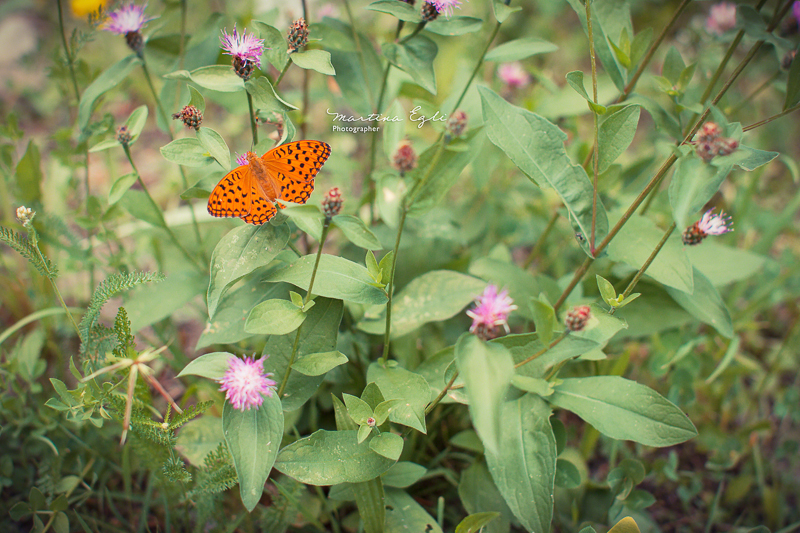 You’ve captured the feel of being “in” the flower garden and the butterfly is the star of the show. This is really very nice. I like it! I love this orange – wonderful capture! The butterfly really hogs the attention. But the plants are a lovely stage to showcase it. To be honest, I’m very happy summer is over … I am waiting patiently for the snow! Beautiful. I really love the quietness expressed here. Those muted colours are just so beautiful, as is the overall image. The butterfly and flower colours are a perfect contrast with the greens. Fabulous, then! A lovely late summer still life and a great quote to go with it. Quel fabuleux cliché, une merveille !